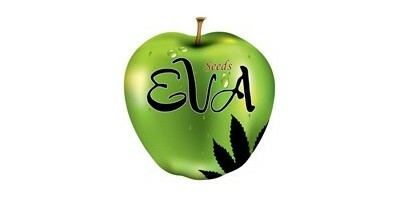 Eva Seeds is a marijuana seed bank based in Spain, creator and producer of its own genetics and seeds. The feminized marijuana seeds Gorilla Candy by Eva Seeds start from the cross between the famous Gorilla Glue 4 and Papa's Candy. We do not make auto-flowering varieties. We consider that there are already many banks offering this product and we prefer to continue being a bank recognized for the quality of the varieties, which is why we decided not to work on them to work hard to get photo dependent genetics fast flowering. Our short flowering varieties are due to the work of selection of our varieties, without crossing with Ruderalis or autoflowering. It has nothing to do with the process that have the Fast Version on the market, which are crossed with Ruderalis (the plant that provides the autoflowering gene). Therefore our seeds are photodependent feminized varieties of fast flowering, but they are neither Fast Version nor autoflowering. Soon we will offer new varieties and limited editions that will certainly not disappoint the breeders and growers more select. Original plant, quality plant, Eva Seeds plant.